A new battle is brewing to be the default of every choice we make. As modern interfaces like voice remove options, augmented reality overlays our physical world, and artificial intelligence gains our trust by transcending our own reasoning, DEFAULTS WILL RULE THE WORLD. I’ve come to call them disruptive interfaces — drastically simpler and more accessible interfaces that ultimately commoditize everything underneath. Once powerful companies that have invested millions or billions in their brands, achieved dominance through network effects, or compete with sophisticated supply chains are vulnerable to losing their pricing power, differentiation, and being all-together excluded from the moment where customers make decisions. In 2014, I shared some thoughts on how “the interface layer” would commoditise much of the technology underneath. I explained, “it’s not just about great design, it’s about the integration of the actions that make life easier and the commoditisation of the services underneath…a shift in the economy that is driven by designers rather than cable executives, tech titans, and logistics masterminds. It is a “closed” user experience built on top of a wide open and hotly competitive ecosystem of services”. What I didn’t realize was just how disruptive such interfaces would be. Like a game of slap a hand, where hands pile upon one another until the winning hand is the one that lays on top of the stack, a disruptive interface is one that, either by consumer preference or brute force, layers on top of other products/services and gains control of the end-user’s experience (and thus decisions). Disruptive interfaces are successful because they are simpler and offer a better user experience than the more clunky and complex systems they supplant. Consider the massive increase in quality of user experience over the years for a simple task like buying batteries. New mediums on the horizon, namely voice and augmented reality — coupled with the rapid ramp of artificial intelligence, will do far more than save us time. They will eliminate browsing all-together by proposing a default answer for every need (and eliminating options). At first blush, this time-savings is a great benefit. But the implications are far reaching. As machine learning understands how we live and work better than we do, we will not only want but expect the best solution for every problem to be the default. As interfaces reach their own version of “singularity,” when they become intelligent and reduced enough that they stop offering choice and only present a single option (and execute it for us), being the default becomes the ultimate prize for every product and service. Imagine a world where we all live by a string defaults, from the ride you order in the morning, the lunch that is delivered, the groceries you buy, the music you listen to, and perhaps even the media you consume. We’ll all listen to the version of Jingle Bells that Amazon, Apple, or Google plays by default. We’ll favor the default option not only because it is fastest, but because it (presumably) takes our interests into account. Such power in defaults will unleash a competitive — and potentially regulatory — dynamic that the world has never seen. The most impactful aspect of such a scenario is the new frictionless motion it will create for how we live. If your brand or service is included in the motion you’ll have a remarkable advantage. If you’re not, you’re screwed. There are two fascinating strategies at play at both ends of the stack. One is commonly referred to as “down to the metal,” where services and applications want to be tightly coupled with the chips and core components of hardware to offer a differentiating experience. The other strategy is to own “the interface layer” where customer decisions are ultimately made. Web browsers were the ultimate interface layer for many years. Now, native operating systems that accompany hardware (Alexa, iOS, Android, etc..) have become increasingly coupled with underlying mobile services and offer native default experiences (vs. those powered by apps that users must opt into). Ironically, the hardware manufacturers that were once pitied for being commoditized as simple vestibules for third-party software will ultimately own the interfaces that rule our everyday lives. They may not own or operate the underlying services, but they’ll have more control over them — not less. Here’s another question I’ve been pondering: In the battle at the interface level, will every company that wants to own a consumer-facing interface need to offer a wallet? When we start paying for things with our voice or just by walking out of a store, we’ll pay with the default wallet that the store or application queries first. When you think about how the “wallet ecosystem” has evolved, you start seeing a strategy to become a payment service rather than be disrupted by a payment service. This trend prompts a whole series of questions: Will every service that wants to own an interface (as opposed to be subservient to one) need to have its own wallet? Is there a limit to how many wallets we can manage, or will they work behind the scenes? Will some of these wallets offer their own currency? 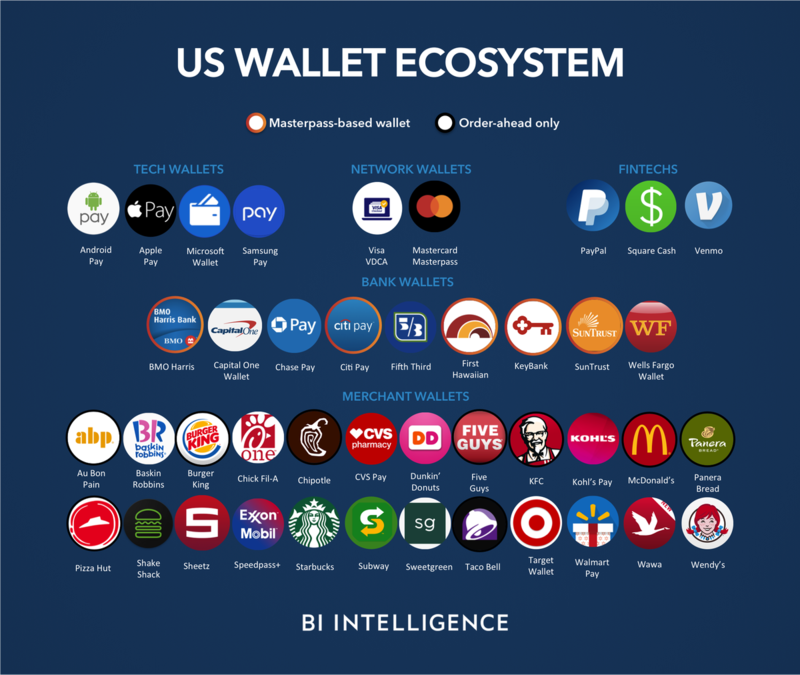 Will one wallet (like Amazon Pay or Apple Pay) offer advantages for loyalty as a way to keep us living within their ecosystem? I suspect loyalty will define the next generation of wallets. In An AR World, What Sources & Notifications Are On By Default? Imagine putting on those futuristic glasses for the first time and then going outside for a walk. Which content and notifications to you see by default? Perhaps you can turn on “Sources” of AR content by genres, and micro-manage the “on/off” settings for brands within each genre? A fascinating battle will emerge to be “default on” in AR by genre. Your augmented experience of the world will have a default view determined by whatever your default display options by genre are, and then you’ll further refine as a result of your real-world experiences and evolving preferences. As my friend Dave Morin likes to say, “the devil’s in the default,” and this will have a greater impact in AR than ever before. As my product teams at Adobe with with partners to help designers create for AR, we’re realizing how many of these questions have yet to be answered. Famed design duo Charles and Ray Eames once suggested that “After the age of information comes the age of choices.” But as artificial intelligence gets to know us better than we know ourselves, will the need for choices be made obsolete? Being a bit more provocative here: Are visual interfaces and choices as we know them over? Artificial intelligence is simplifying (or entirely removing) options, and the accuracy of AI may bring us to the point where there will no longer be an interface. Is the ultimate goal of interface design to eliminate the need for choice? Or will designers and product leaders learn that choice is a uniquely human and primal desire that we didn’t know we wanted until we were able to operate without it? “The perfection of data will, eventually, give rise to a world in which every consumer can be paired up with goods that meet his or her biological, rather than consumptive, tendencies,” writes Zander Nethercutt. Will we stop searching and choosing once we trust airtificial intelligence more than ourselves and feel “paired” with everything we need? What does living a life of defaults mean for consumers? For starters, we will need to verify the pricing we get and the quality we receive. As we surrender choice, we cannot surrender any form of diligence. Living by the defaults requires another level of trust in the machine. We will need to trust but must also develop mechanisms to verify. It also means that we’ll all have more in common with each other when it comes to necessities, while striving to differentiate ourselves when it comes to auxiliary purchases. I think we’ll become more brand agnostic (lowest price, fastest option) for stuff that doesn’t define us, and develop stronger brand preferences for anything differentiating (fashion, experiences, relationship-driven services, and value statements). So much more is liable to become commoditized, from fine foods to ride-sharing, entertainment services, media, and more. In the future, we’ll have all the basics provided by just a few sources, but will define ourselves by a long-tail of purchases from niche, local, and highly personalized brands and providers. As with most topics that fascinate me, designers are the winners and, in this case, can also be our saviors. In just the past few decades, interfaces have evolved from physical buttons to grayscale screens navigated with a mouse to millions of full-color pixels, and then to touch, and then voice, and soon augmented reality. While the actions, like connecting with friends, turning on the lights, buying groceries, or ordering a car, haven’t changed much, the interfaces we use look and feel completely different. They have fewer steps and smarter defaults. Generally speaking, the better an interface becomes, the less navigation (and thinking) it requires. The best product designers look for ways to eliminate or streamline choices, leverage existing patterns and muscle memory to make products familiar, and develop a better “first mile” experience. They must also take great care in determining the defaults. Most consumer products report that 90% of customers keep the default settings they’re given rather than customize their experience. Over the years, there have been a few attempts at a “Designer Code Of Ethics,” and I would propose that the modern version should include guidance on communicating the presence of artificial intelligence and the sources of the choices you’re seeing (or aren’t seeing). As modern interfaces emerge that are simpler and artificially intelligent, a largely invisible yet heated battle is brewing across every product and service to be the default that you see and hear at the interface layer — the customer-facing surface where decisions are made.